The Lair is one of the premiere bike parks in Oregon. Designed, built, and maintained by volunteers from the Central Oregon Trail Alliance (COTA), the park was built in collaboration with the Forest Service and is located entirely on Forest Service land. Like many of the other park on this list, it is a progression park and features everything from three-foot beginner jumps to 20-foot monsters that look mean and intimidating in person! While the park has been lovingly sculpted into an excellent resource, the volunteers can always use more help. 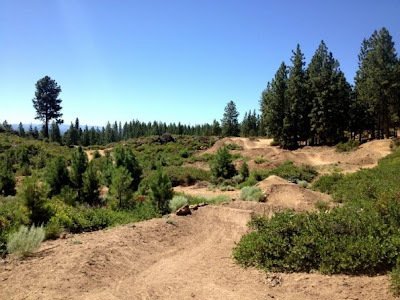 “If you come out to a riding spot and see people digging, ask if you can help. More help would enable things to get done faster, and also allow for more time to improve on what’s already in place,” said Joe Treinen of COTA.